Here are some of the most exciting online offers from UPto75.com, your favorite deal listing site that offers value to you and expects nothing in return! After being in the online deal listing business for two years, and pioneering many new initiatives in this space, we at UPto75.com would like to share some of our success stories with you, some of the finest online products and services that have connected in a big way with the market. If you have missed them out you can visit the offers as well. Among the highly successful and popular online deals are some of the best brands in the market – Indiaplaza, Cleartrip, Dominos, Thyrocare, Goibibo, First Cry and Shaadi.com. Currently Indiaplaza has an offer where buyers get Rs. 200 off on shopping worth Rs. 999 and more at Indiaplaza. Indiaplaza.com is a popular online retail store in India that has over 7 million fantastic products that include Apparel, Sarees, Appliances, Books, Cameras, Electronics, Mobiles, Flowers, Jewellery, Toys, Music, Videos, CD-ROMs, Chocolates, Cakes, Sweets, Handicrafts, Watches, Food items etc. Indiaplaza.com also manages loyalty programs for leading financial organizations, the hospitality industry, IT, Airlines and others. Cleartrip is offering a deal on flight tickets where you get Rs. 400 off on a round trip and Rs. 225 off on a one way trip. Cleartrip.com is an online travel site to book your flights, train tickets and hotels with ease. Dominos, one of the popular pizza chains, has an offer of 20% off on any online order that is worth more than Rs. 350. Dominos Pizza has a network of 378 stores, in over 55 cities, and is a specialist in home delivery of vegetarian and non-vegetarian pizzas. Thyrocare, the leader in diagnostic services, offers its wellness profile test that checks 63 parameters for Rs. 1600. The wellness profile test originally costs Rs. 2400 and includes Lipid Profile, Diabetic Screen, Liver Profile, Cholesterol Profile , Thyroid Profile, Iron Deficiency Profile, Electrolytes Profile, Renal Profile, Urinogram, Hemogram and others. Thyrocare is a leading Diagnostic service provider in India with a centralized laboratory concept. Check out Thyrocare Wellness Profile Diagnostic Tests. Goibibo offers Rs. 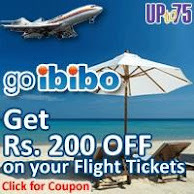 200 off on flight tickets on use of promocodes given by UPto75.com. Goibibo is a complete online travel and holiday planning site that makes travel affordable and enjoyable and deals with hotel, holidays, car hire and bus tickets. Firstcry offers Rs. 100 off on a Rs. 500 purchase and Rs. 200 off on a Rs. 1500 purchase from its online retail store. Firstcry has the largest collection of for babies and children’s products in India and they include infant accessories, books, toys, board games, puzzles, educational games, strategy games, educational cds, games from leading brands. Shaadi.com offers a Rs. 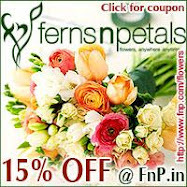 1825 discount on matrimonial promo codes from UPto75.com. Shaadi.com is a popular online matrimonial service provider. UPto75.com has been constantly adding value to both customer and retailer and we find that both are happy. Here we bring some of these popular discount campaigns to you. Some of them are exclusive to UPto75.com while others are not. But to us, and probably you as well, they are all a big deal. So go for it.